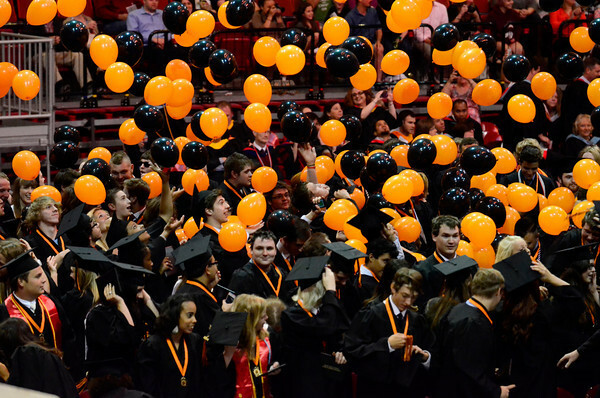 Balloons drop on Norman High's graduation class of 2014 during their ceremony at the Lloyd Noble Center Friday, May 23, 2014. Over 300 seniors graduated in the ceremony, with 27 of those being straight A students. To see more photos from the graduation visit: photos.normantranscript.com.